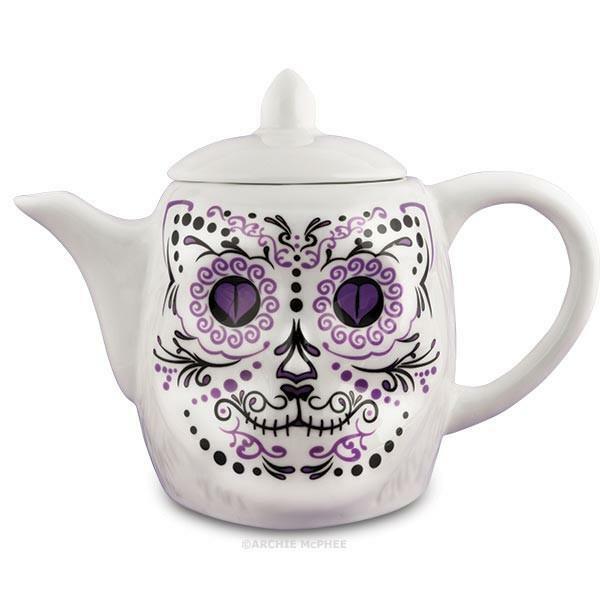 You love sugar skulls, tea and cats? 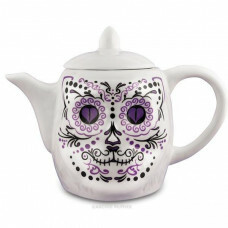 This teapot merges all three things into a gorgeous and unique porcelain teapot shaped like a decorated kitty skull! 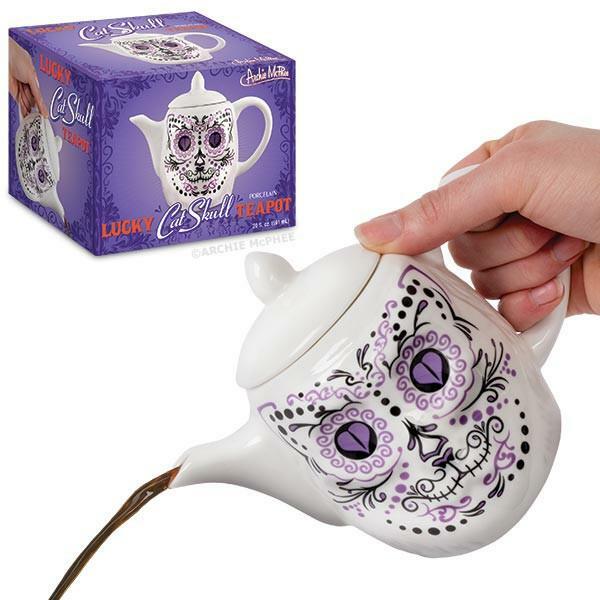 It holds 591 ml of kit-TEA and is the perfect centerpiece for all your daily cat-themed tea parties! Comes in an illustrated box.